On Monday May 21st, Clean Ireland Recycling celebrated the official opening of Ireland’s first fast-fill Compressed Natural Gas (CNG) refuelling station at Clean Ireland Recycling’s facility in Smithstown in Shannon, Co Clare by the Minister for Communications, Climate Action and Environment Denis Naughten. 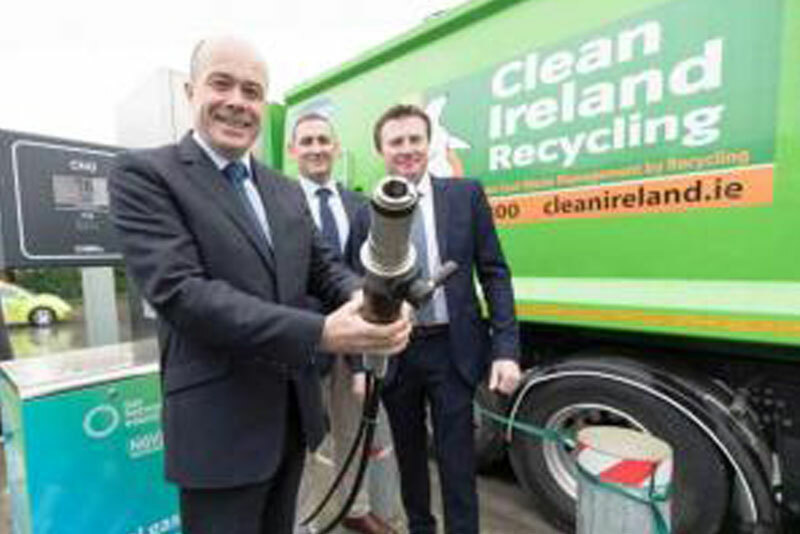 Clean Ireland are the first waste management company in the country to introduce CNG powered vehicles in partnership with Gas Networks Ireland. Clean Ireland already have two CNG powered vehicles on the road with more to be introduced. CNG is a cleaner, greener alternative to diesel with less green house gases, with the investment delivering a 22% saving on carbon emissions and 99% less particulate matter but also a fuel cost saving of up to 30% per vehicle compared with its diesel equivalent.